Diesen Freitag, 5. April wird es erstmals zu einer Kooperation zwischen den beiden Zürcher-Indie-Labels ‘Ikarus Records’ und ‘Taxi Gauche Records’ kommen. 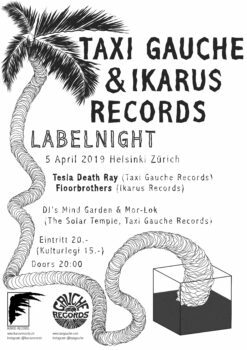 Dabei werden Floorbrothers (Ikarus Records) und Tesla Death Ray (Taxi Gauche Records) live im Helsinki Klub, Zürich spielen. Das DJ-Kollektiv Mind Garden & Mor-Lok (The Solar Temple, Taxi Gauche Records) wird die Nacht danach mit 60s- und 70s Psych- und Garage-Rock noch länger machen. Want to live oceanic! Wake up and jump into the sea… Yeah! We’re very happy to announce that the awesome band PHIL HAYES + THE TREES is now part of the Ikarus Records family! 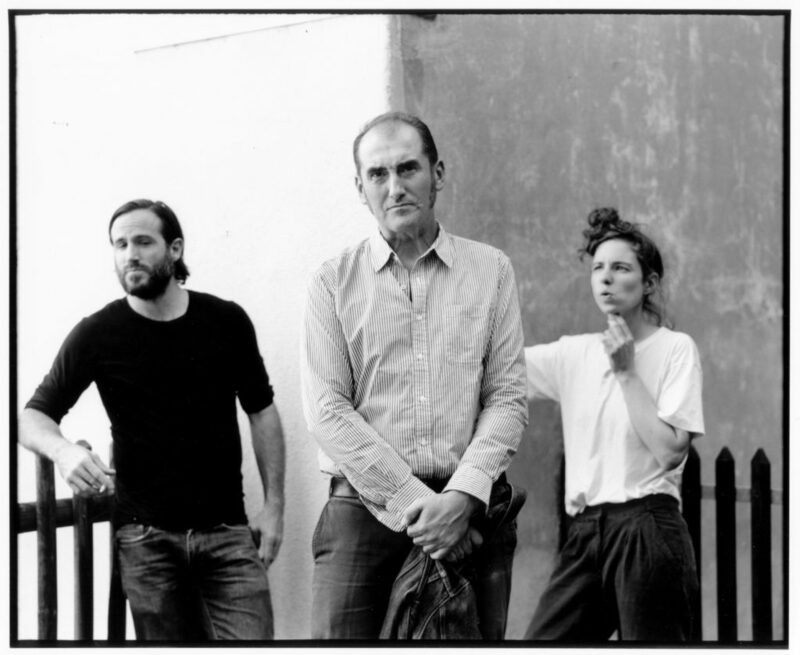 PHIL HAYES + AND THE TREES will release a single/video in May 2019. In autumn/winter 2019 they will release a vinyl EP. Next show: March 14th at Helsinki | Zürich. Feel free to contact booking@ikarusrecords.ch for shows in May-July 2019 and November-December 2019. Please have a look at our newest videos. And check our store for some Christmas shopping! Out Today! 12 “-Vinyl and on all digital Platforms. We are very proud to be releasing the debut album of the Floorbrothers. Order Vinyl here. Stream and download on our Bandcamp. The Record Release Show will be at the Marsbar in Zürich on December 23rd. Right in time to buy your loved ones some precious christmas presents. Check out the new Borderline Symhony E.P. 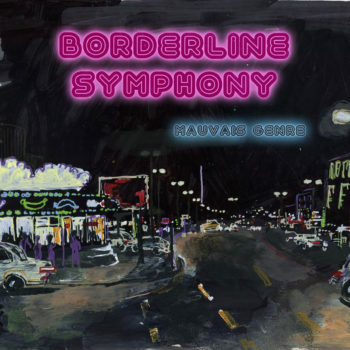 called “Mauvais Genre”. We like it so you’ll like it as well and your friends will also like it just like your parents, grandparents, girlfriends, boyfriends and all the rest of the people you know will! This is a digital Release only. So no Vinyl or CD. But the best Part about this whole thing is: It’s greta it’s gratis!! Check it out here! And of course you’ll like it that much.. you will happily pay a few bucks for it. Just because you can! Support your local Musician Friends! 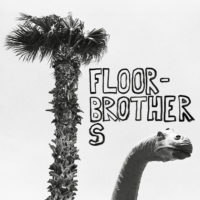 Floorbrothers second single Do The Dance Dance out today! Stream and buy the song on bandcamp. Debut album Ultimate Floor (Vinyl/digital) out on December 7th 2018. so stay tuned an DO THE DANCE DANCE!! New video/single Sounds of Zero out now. Video is about chasing and being chased.